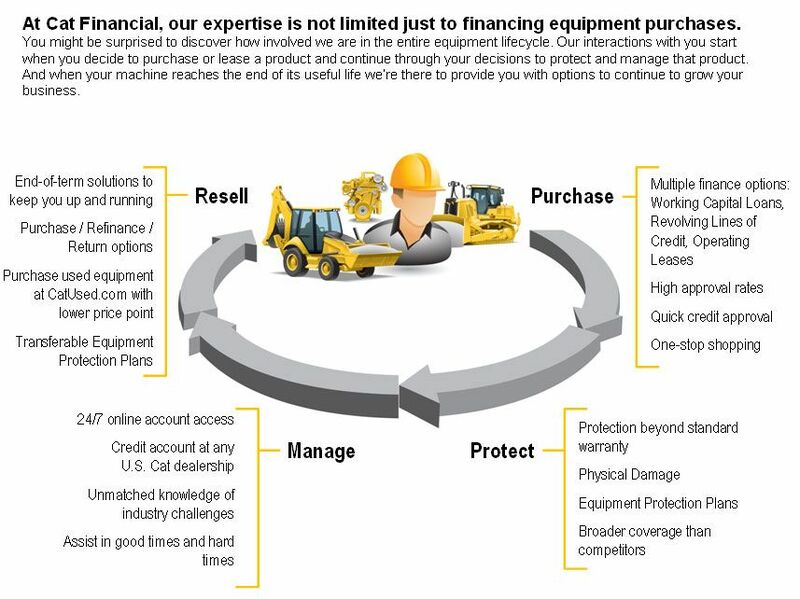 As a captive finance company, Cat Financial understands your unique needs and the industries in which you operate. They are uniquely structured to support the specific needs of Peterson customers. Their vast expertise in assessing equipment values and their knowledge of customers' businesses often result in more favorable lending terms. Peterson and Cat Financial industry finance experts understand your business and are dedicated to making your operation successful.